Free Download, don't forget to like, comment, and share! I made this track after my visit to Mazatlan this spring. I was inspired by the laid back vibe, the hospitality of my friends and the locals, and the tropical flavors. When I got back to New York spring was finally springing and I wanted to make a song that reflected the energy of the city and and my anticipation for summer. 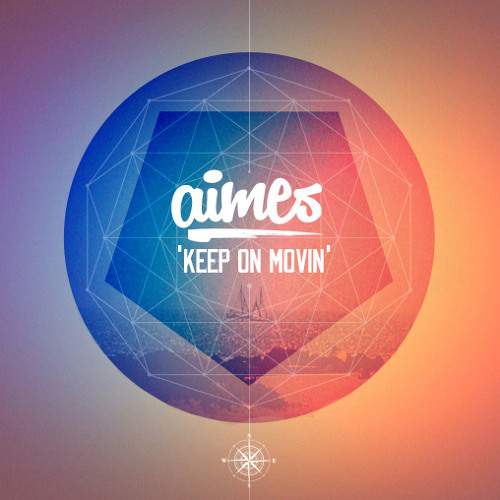 LIKE on HypeM: http://hypem.com/track/1x2kt/AIMES+-+AIMES+-+Keep+on+Movin%27 -Big thanks to http://soundcloud.com/mtrdvsn for the amazing artwork. -Mastered by Moustache Mastering Support: "Big. Loving it. " - Goldroom "woof, this is hot" - Chordashian "cool deep disco track" - Zimmer "Boom" - Pat Lok "loving it , full support" - Rotkraft "Sounds great!" - Auxiliary tha Masterfader "great track" - Tronik Youth DJs hit me up if you would like the WAV. this is fit for spring season! good work! Thanks Travis Holcombe and KCRW. oh man this is beautiful!! I'll be listening to this on the beach very soon! god this is sooooo good!! !